T-minus 12 days until The Culinary Couple begins cohabitation! Until then, we continue to cook separately during the week. Last Wednesday, after baking a scrumptious spiced apple cake and before enjoying a big slice, I adapted a ravioli recipe from the latest issue of Real Simple. 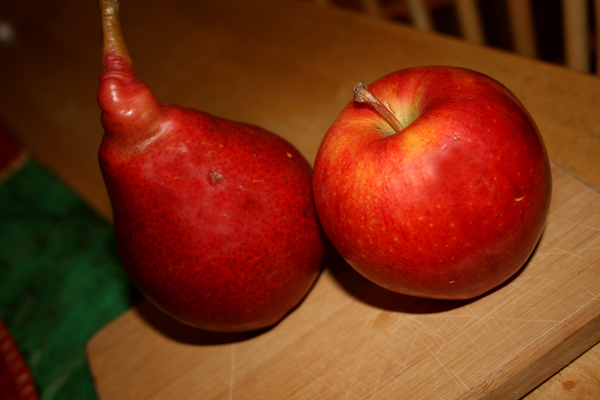 It combines some of my favorite fall flavors: apples, pears, walnuts, and nutmeg. It’s simple and a small enough portion for one person, but I’ll definitely make it for Nick after the big move! Meanwhile, heat the oil in a medium skillet over medium heat. 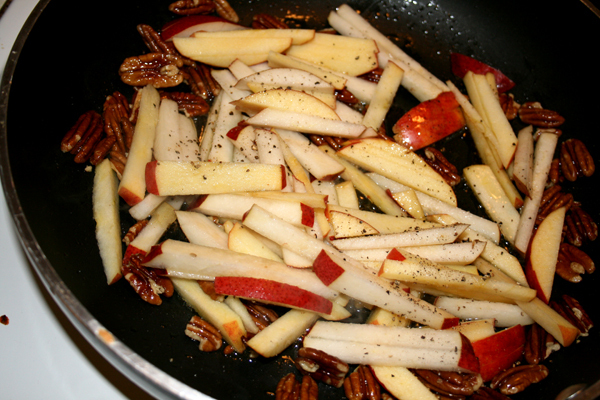 Add the walnuts and cook, stirring often, until lightly toasted and fragrant, 4 to 5 minutes. Add the apple, pear, parsley, salt, pepper, and spices and toss to combine. 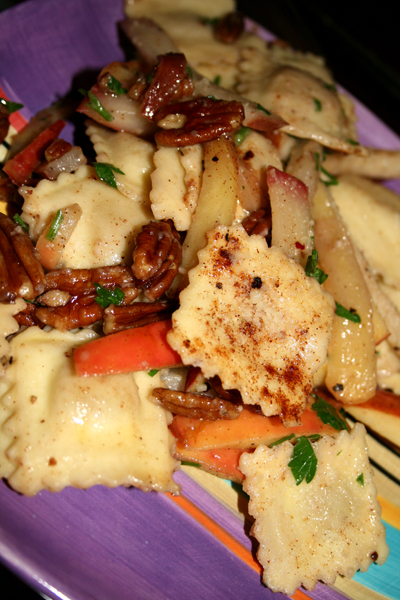 Toss with cooked ravioli and sprinkle with the Parmesan.